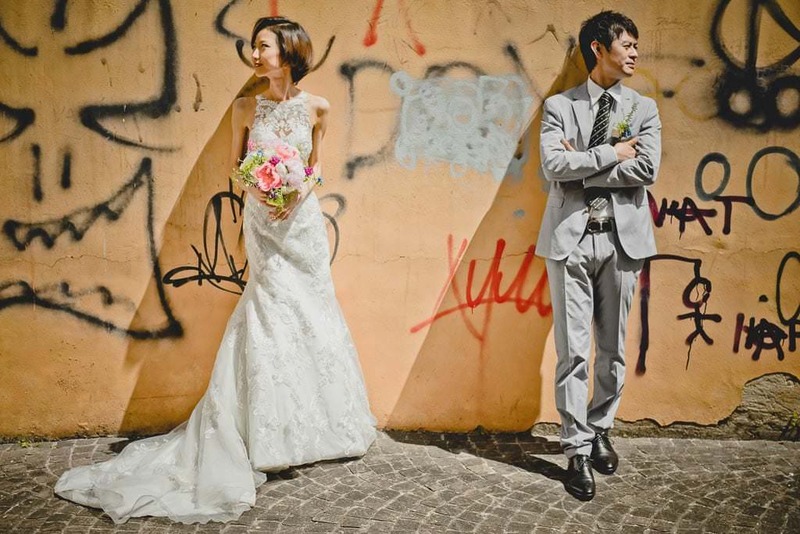 Masami and Dai are a Japanese couple who has lived in Vicenza for a few years. 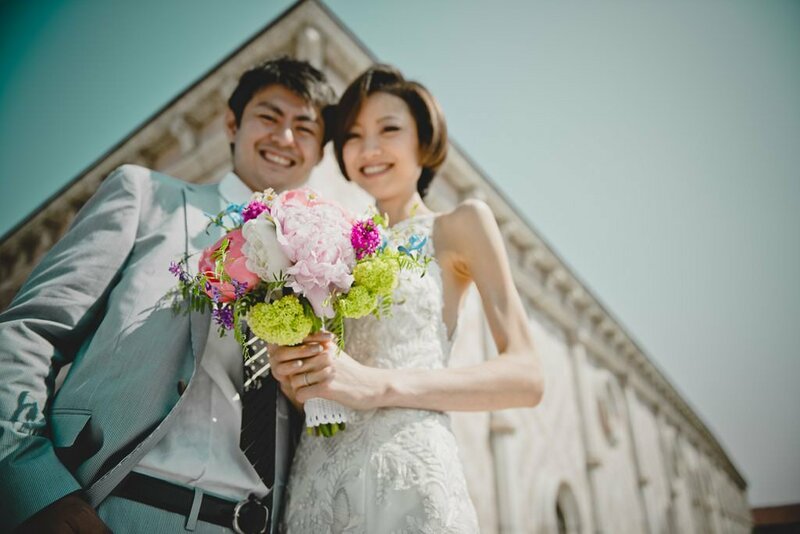 They will celebrate their official wedding in a few months in Japan, but they really wanted to have a nice pre-wedding couple shooting in the city they live now. 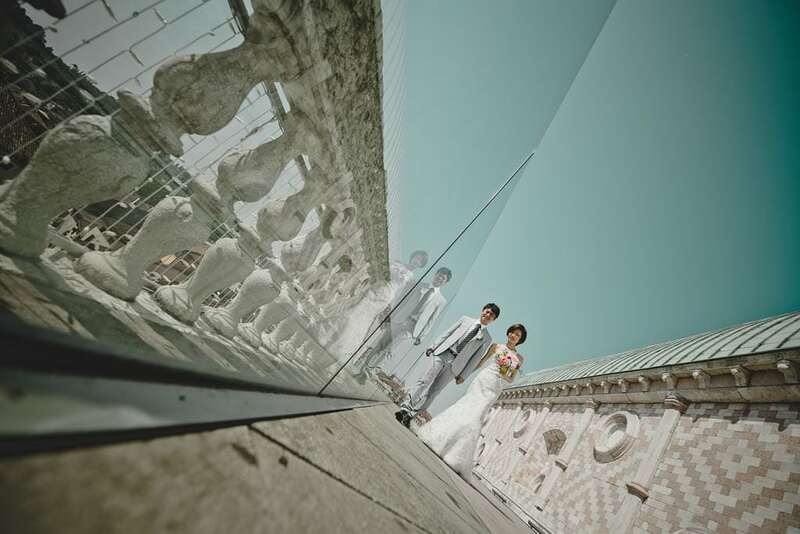 Their desire was to show the beauties of Vicenza to their friends and families in Japan – mission accomplished! 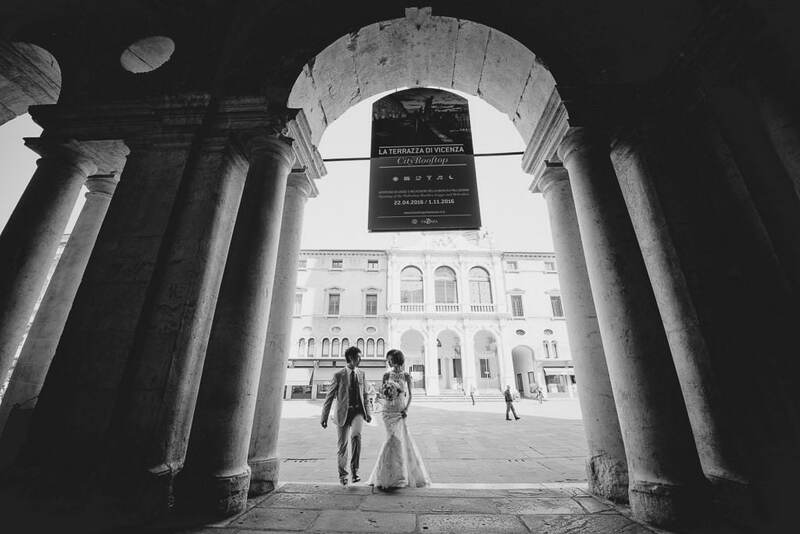 In this case, Masami and Dai chose Vicenza as the perfect background for their prewedding couple shooting because they live here, but the phenomenon of the Asian wedding tourism in Europe and in Italy is definately a thing. 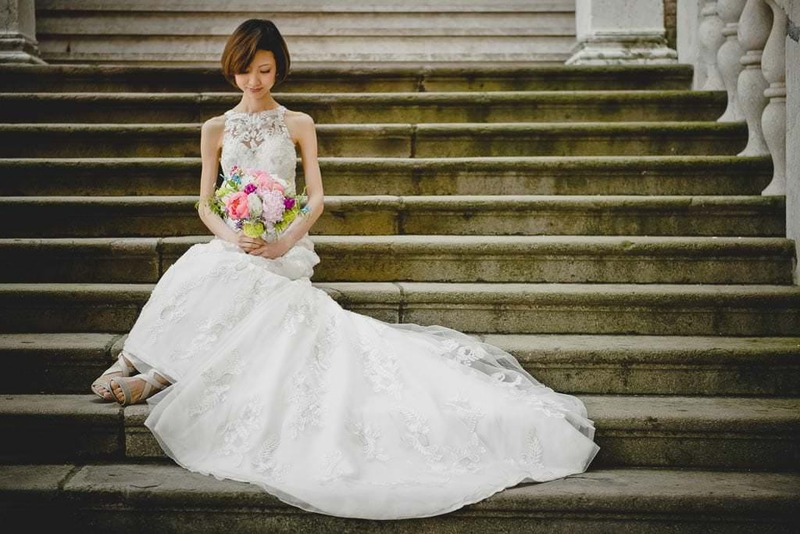 Wedding proposals, engagement shootings, pre-wedding shootings in wedding dresses, actual weddings or wedding vows renewals are very common here. 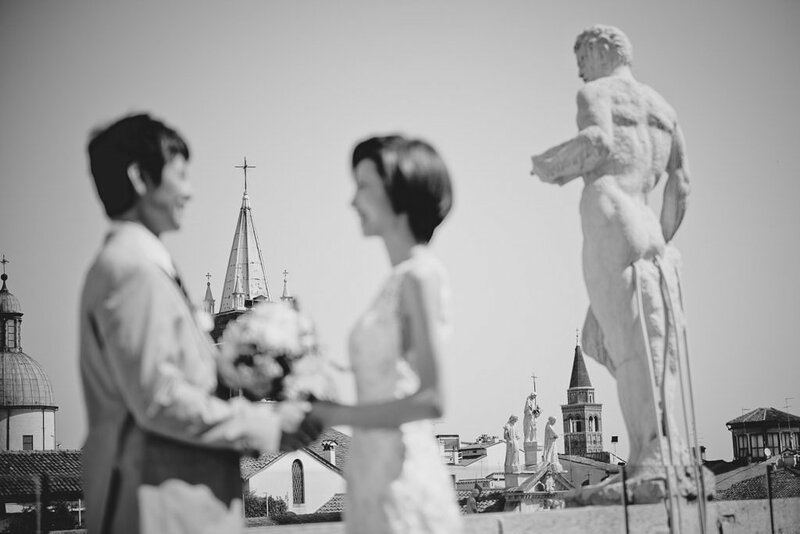 Estimates suggest that in the year 2010 only about 20k Chinese couples celebrated their wedding in Italy. If we consider the other Asian countries, then, these numbers can only increase! 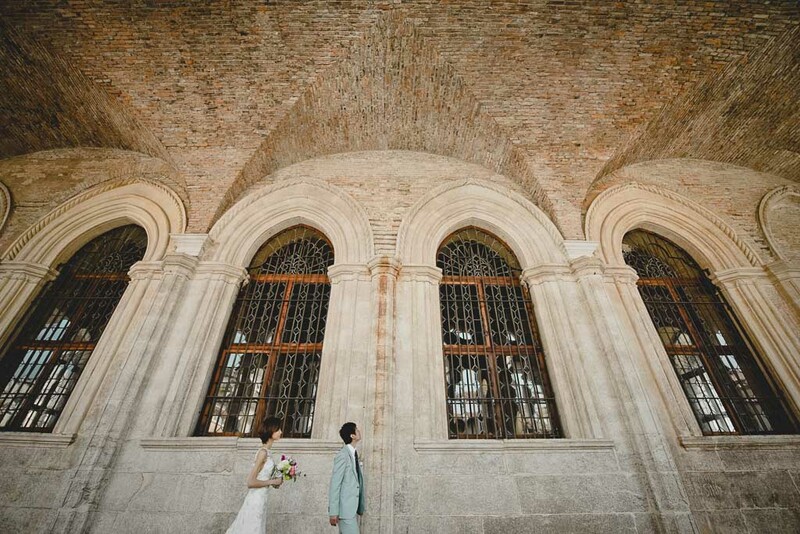 For this kind of shooting, the historical centre of Vicenza was absolutely perfect. 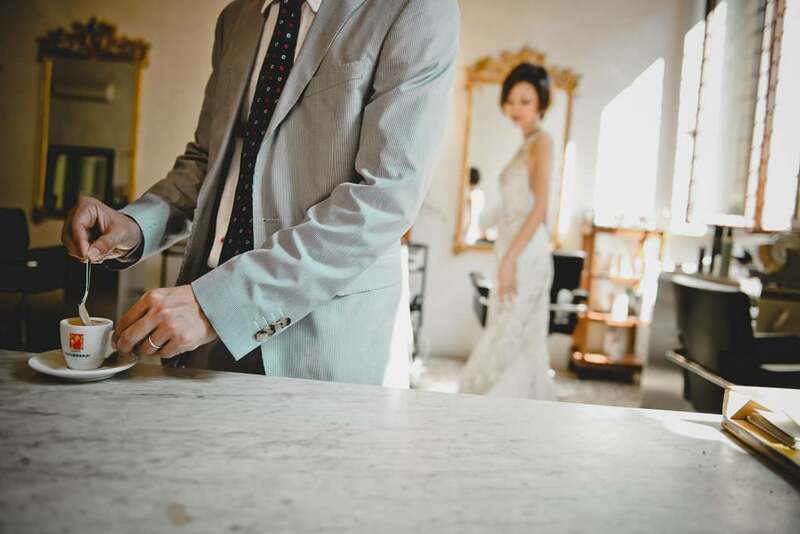 We begun in the hairdresser studio Salone Otto, where a friend of Masami took care of her beauty to prepare her for this special moment. 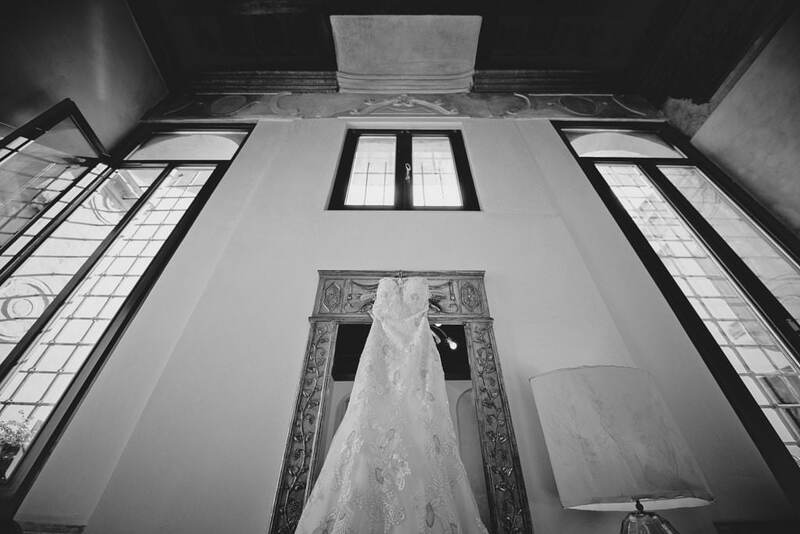 After the bride and groom were ready and fully dressed, we begun the shooting in the beautiful Piazza dei Signori. 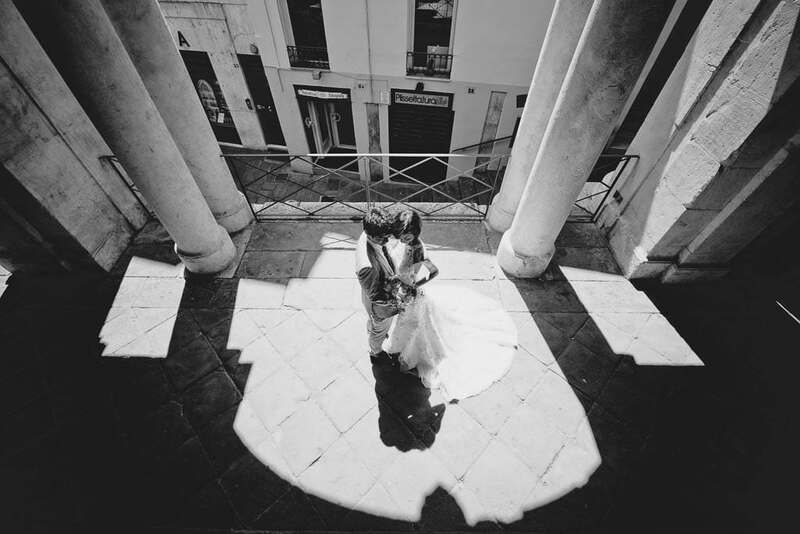 Then, we climbed the stairs to the Terrace of the Basilica Palladiana, Unesco Heritage. The view from that terrace is just unbelievable – you can’t miss it as you come and visit Vicenza! After this tour in the city centre, we moved to the amazing Parco Querini, a beautiful park very close to the city centre. Our walk together proceeded to Palazzo Chiericati and the lovely Gardens of the Teatro Olimpico, another Unesco Heritage. 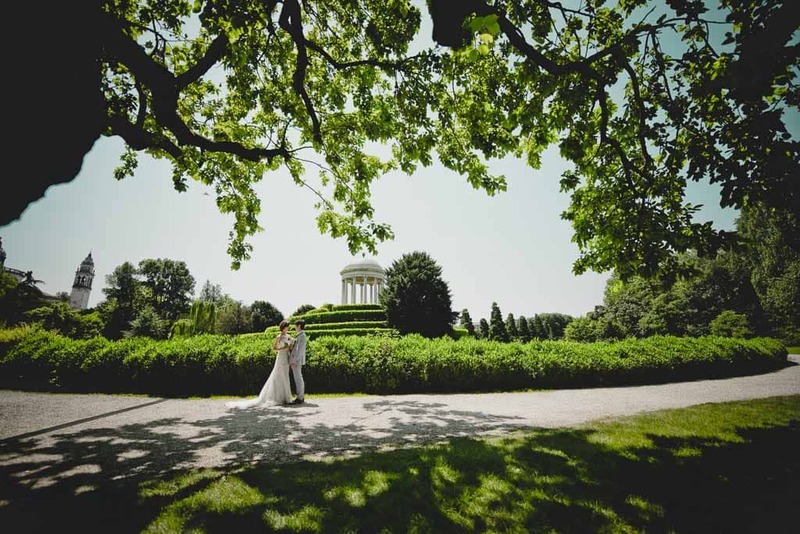 Well, a special shooting with a beautiful Japanese couple in the art and beauty of the city of Palladio!